CokeSoft PDF to JPG Converter lets you convert PDF into JPG. Converting PDF with CokeSoft PDF to JPG Converter lets you view your converted PDF on a computer that does not have a PDF reader installed, and also lets you escape having to use inconvenient online PDF conversion services. 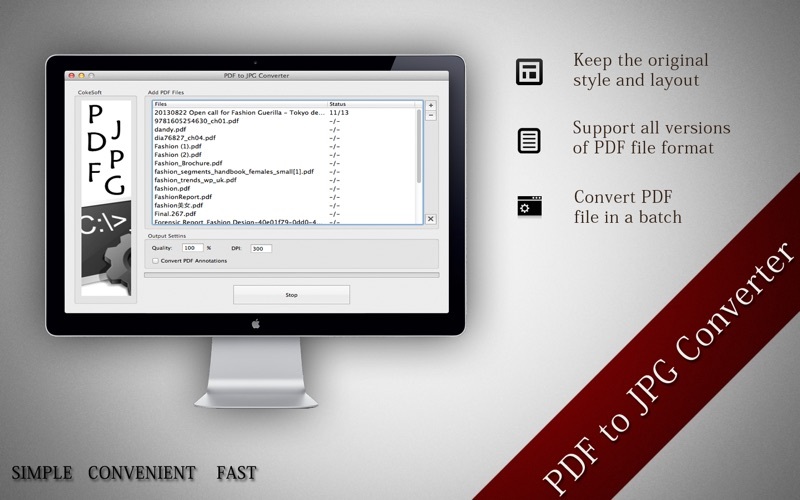 CokeSoft PDF to JPG Converter can even convert PDF in batches, so that you can convert entire folders filled with PDF into the format of your choice without having to manually select, upload, and convert each file (as you’d have to do using online PDF conversion services). CokeSoft PDF to JPG Converter also offers full page conversion, which ensures that you won’t lose any of the important information in your PDF, and offers a quality option, which lets you decide on the size and detail of the images that are generated. 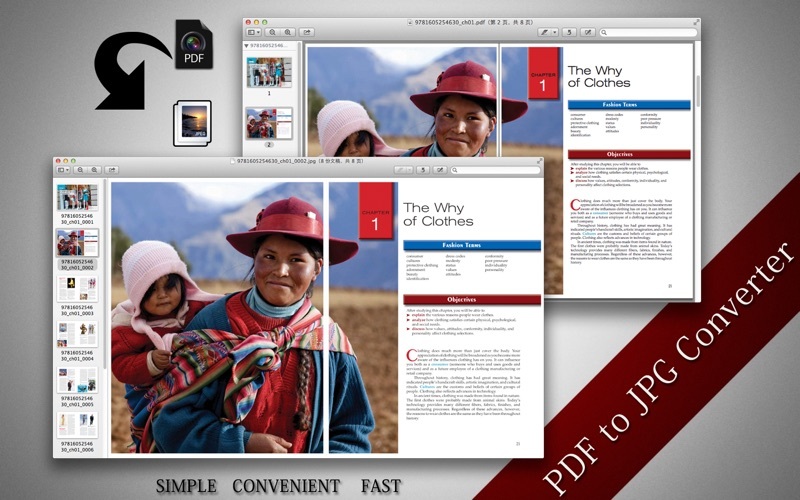 • Take control of your PDF and convert them to images for easy access or further manipulation. • Convert your PDF right on your Mac OS X, and avoid the unnecessary steps that you have to go through when using online PDF converters. 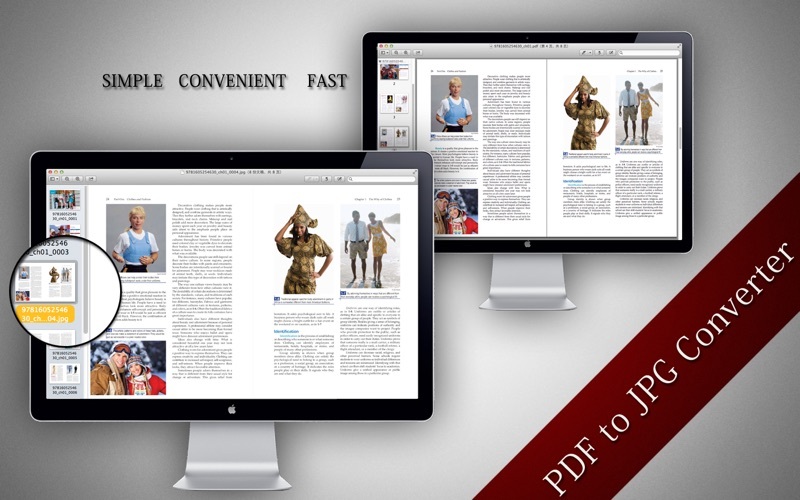 • Ensure your PDF convert accurately by using quality and full page conversion options. 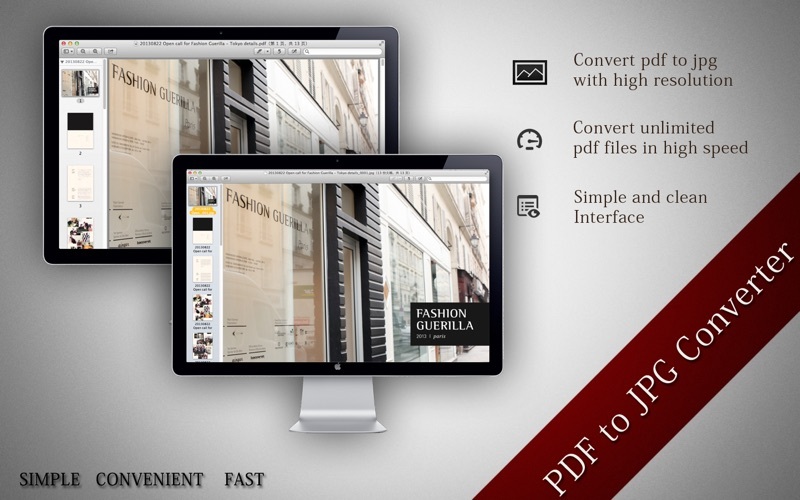 • Add an option whether convert PDF annotations to image. • Automatically save the files in the same folder.